With more than 1,400 islands, maritime and air transports are common in Greece. Tests carried out in Santorini demonstrated that concentrations of ultra-fine particles were up to 100 times higher near the ports. But in recent years, the situation has been improved thanks to better fuels and replacement of polluting old technology. The evaluation of air quality and pollution has been traditionally conducted by ground based monitoring. Complexity of the terrain and physical barriers usually complicate data collection, augmenting costs and decreasing efficiency and performance. 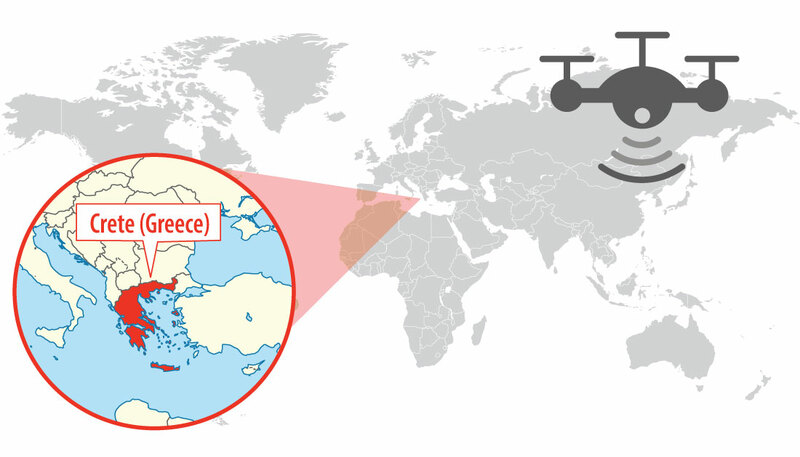 At the Industrial, Energy and Environmental Systems Laboratory of the Technical University of Crete, Antonios Koutroumpas (BSc Student) and Konstantinos Loukakis (MSc Student), with the assistance of associate professor Spiros Papaefthimiou, developed a Thesis in Production Systems with the title: “Use of UAV (Unnamed Aerial Vehicles) for 3D visualization of air pollutants in urban areas,” in which a small drone equipped with Libelium’s wireless sensor platform Waspmote was introduced for in-situ data acquisition.